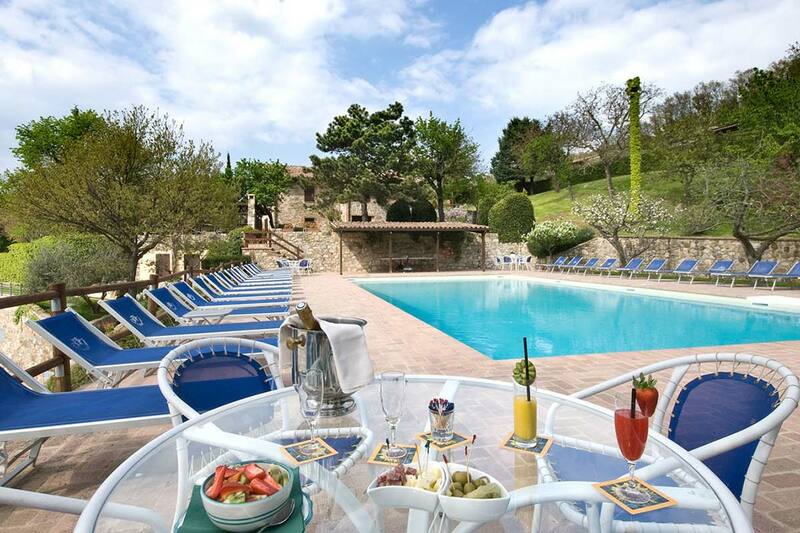 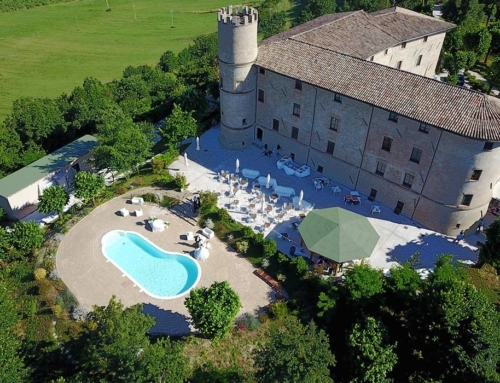 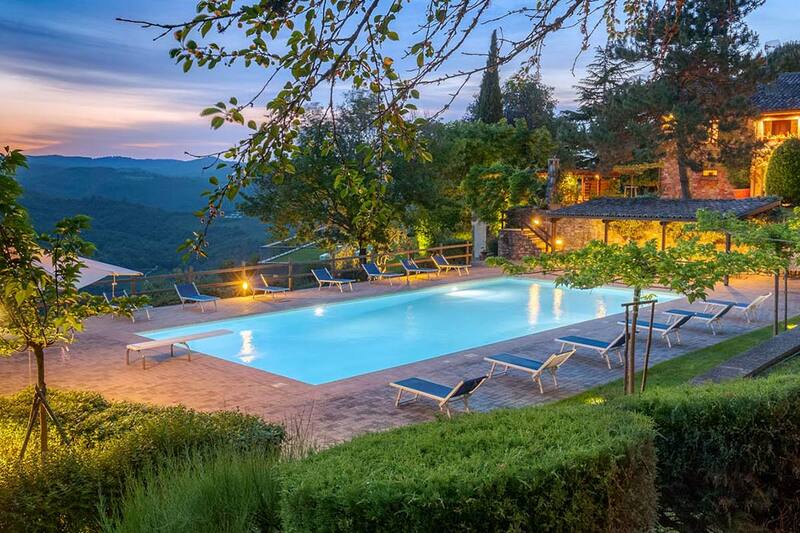 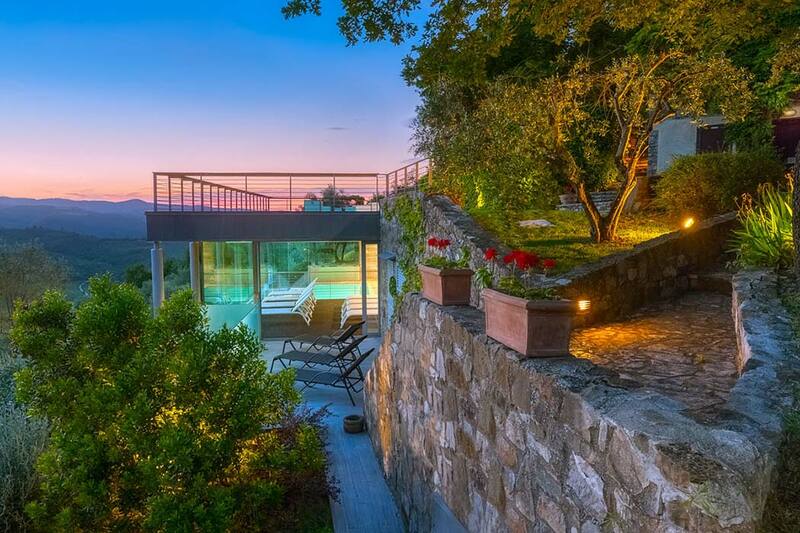 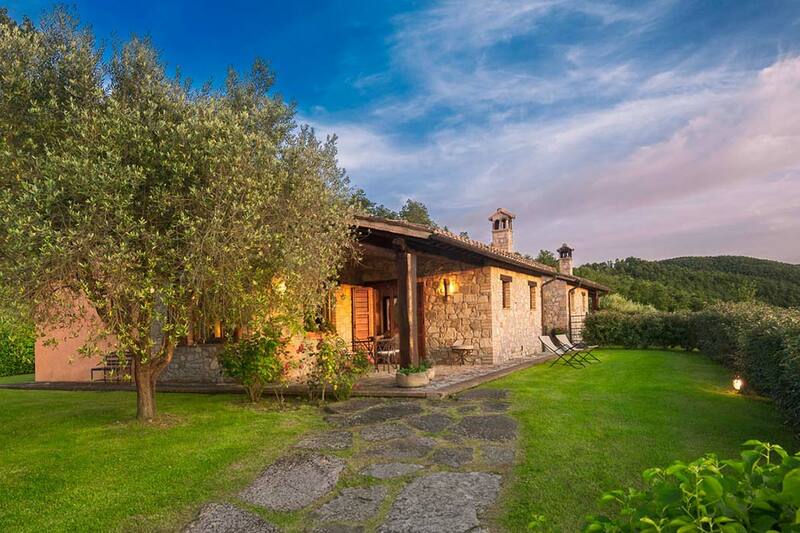 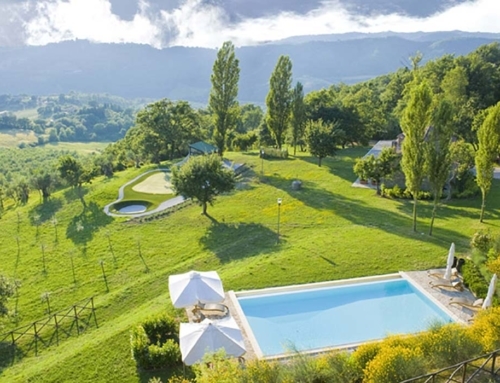 A country resort set in the middle of Monte Peglia park, immersed in lush and wild unspoiled nature. 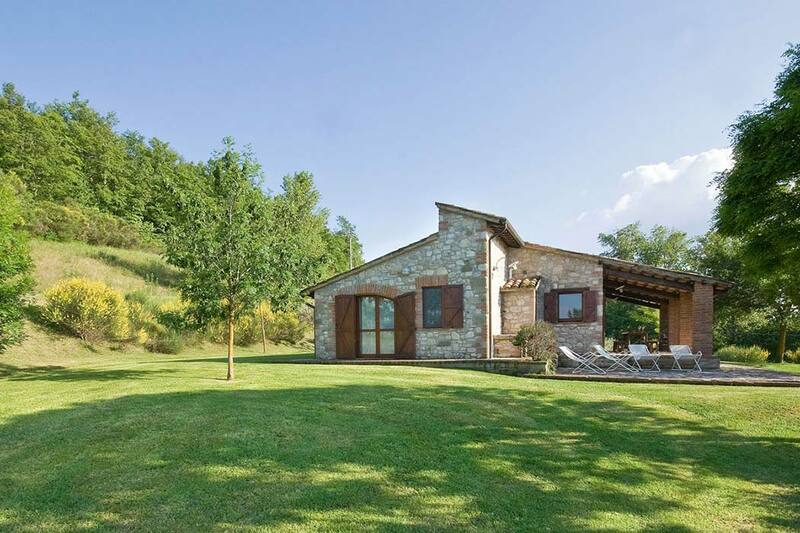 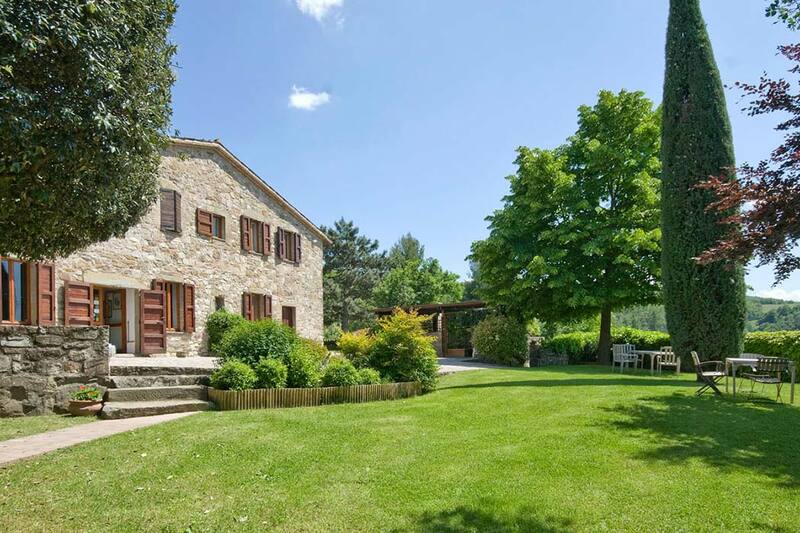 An ancient farm now a beautiful villa with a great view on green valleys full of trees and green meadows. 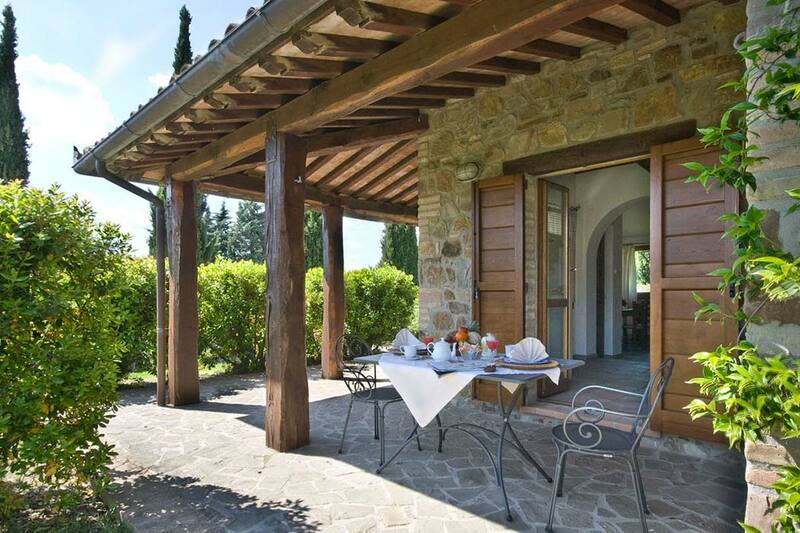 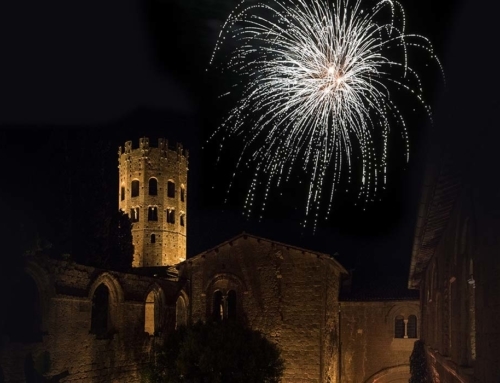 Villa Vibio is a great venue for your destination wedding able to produce romantic and magical sensations. 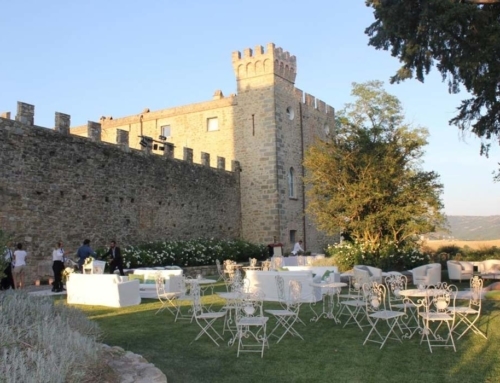 The symbolic ceremony can take place in the garden and the wedding reception in the luminous main dining area with large windows and wooden beams or outdoor in the garden and poolside. 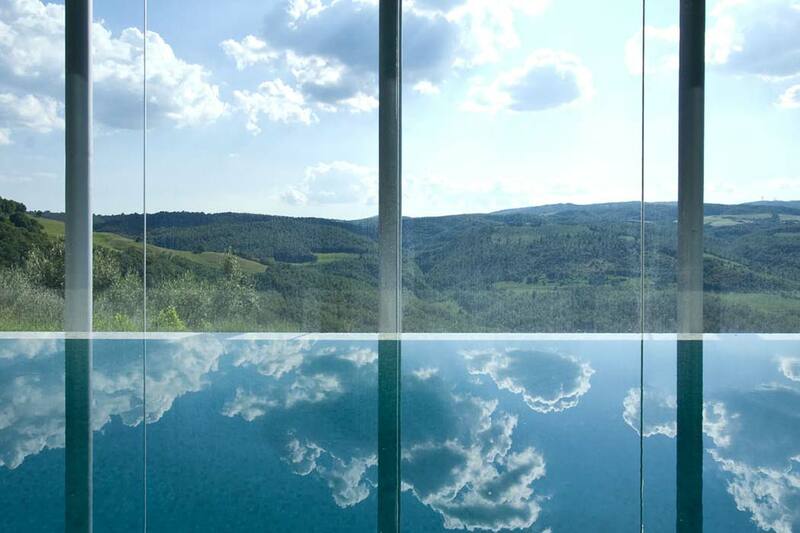 The unexpected part of the resort is the wellness center with a marvellous infinity swimming pool with a breathtaking views of the beautiful valley. 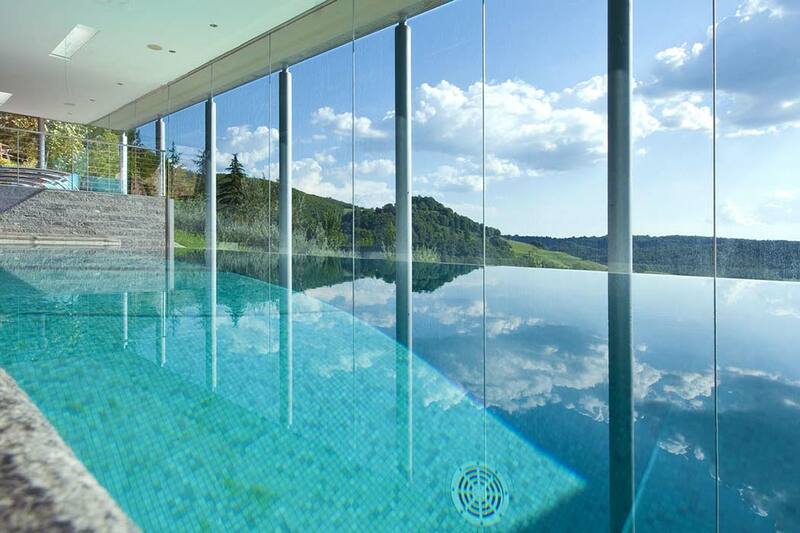 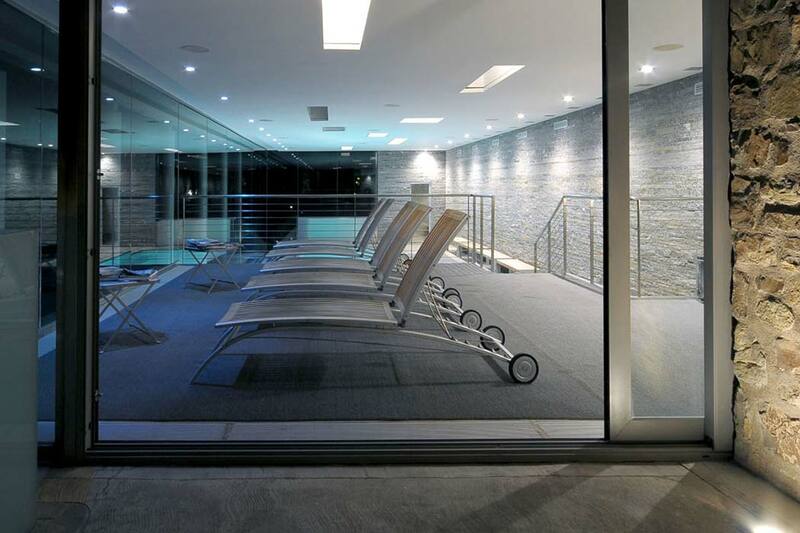 An incredible area to spend relaxing time before and after the great day. 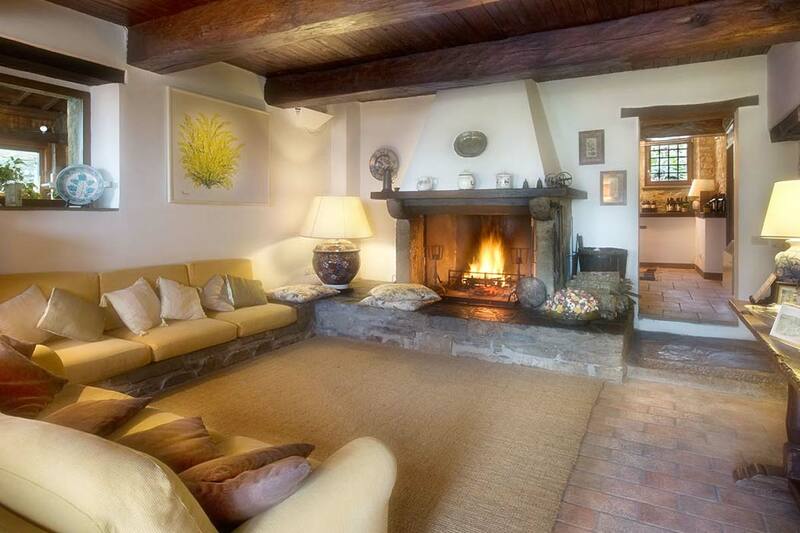 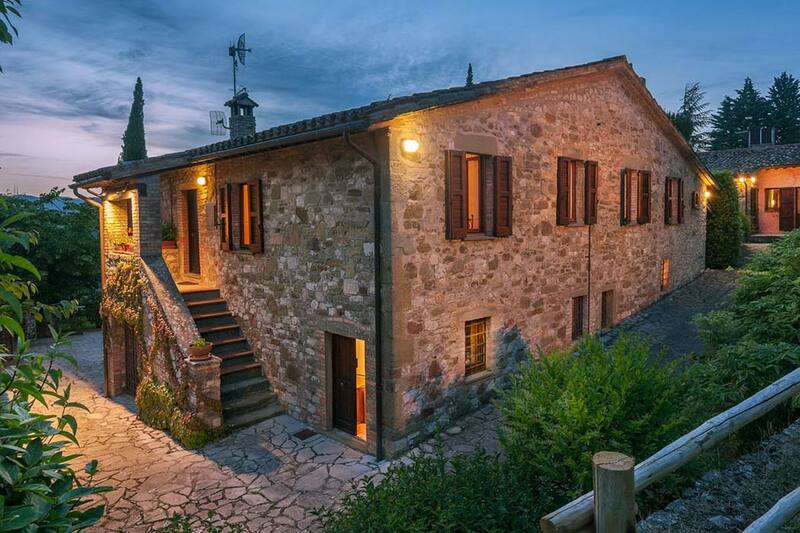 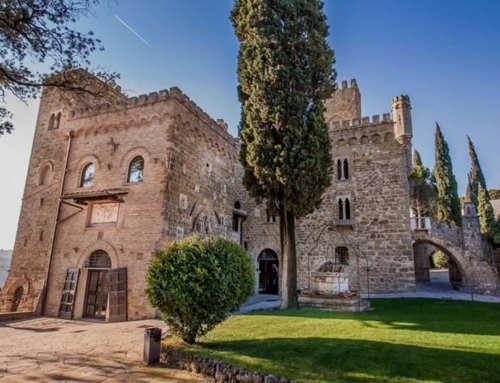 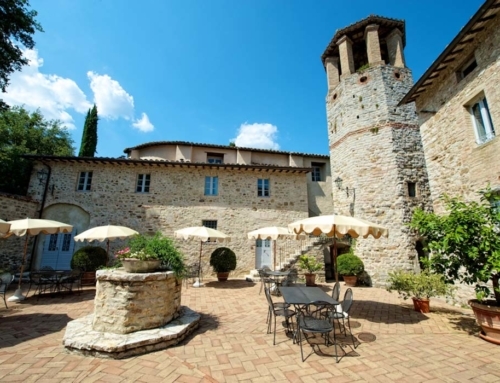 The villa offers different types of rooms that can accomodate up to 5 people, all renovated maintaining intact the original architectural features as antique terracotta floors, large wooden beams and stone walls.